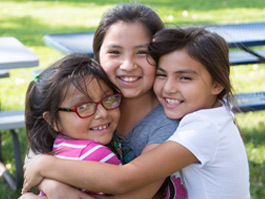 A memorial gift is a wonderful and loving way to honor someone special in your life. Memorial gifts can also express your congratulations to a loved one on a special occasion, birthday or anniversary. 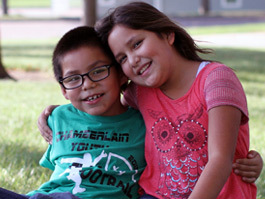 Besides paying tribute to a loved one, memorial gifts to St. Joseph's Indian School provide quality education and top-notch care to precious Lakota (Sioux) children. Honor gifts — Express your congratulations to honor someone on that special occasion, birthday or anniversary. The person being honored will receive a notification of your gift. Memorial gift — Remember a loved one or a friend who has passed. In Lieu of Flowers — Sending flowers is a common way to extend comfort to family and friends when a loved one dies. 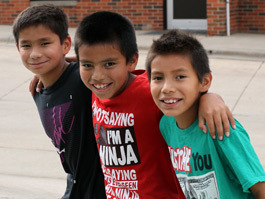 However, more people are asking their loved ones to share a gift with St. Joseph's Lakota children in place of flowers. 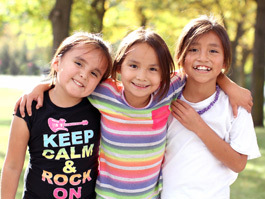 Provides for the needs of Lakota (Sioux) youngsters at St. Joseph's. Send a special acknowledgement letter from Fr. Anthony. Founder's Memorial — Your name or the name of a loved one you wish to honor will be engraved on a brass plate and placed on our Founder's Memorial plaque. The plaque is displayed in Our Lady of the Sioux Chapel as a lasting tribute. For more information about memorials please contact us at 1-800-584-9200 or at saintjosephs@stjo.org.